Green smoothies are fast becoming one of the most popular ways of getting our daily serving of leafy greens. Most of us know we should be eating more fruit and vegetables, but many still find it difficult to chew our way through half a plate of greens. Smoothies provide an easy and tasty solution. Yes, green smoothies can be tasty. If you are new to the green smoothie making revolution, you may be wondering just what greens to throw into your blender. Some greens have a very mild flavour, while others have a much stronger flavour. You may want to start off with the milder ones until you become accustomed to the taste, before progressing to the more intense flavors. I would also recommend adding fruit. This will help to mask their taste and sweeten them considerably. Most basic green smoothie recipes call for 60% fruit and 40% greens. As your taste buds develop you can increase the green ratio. The following list is by no means exhaustive, but represents the most popular green smoothie ingredients. They are readily available, inexpensive and the most palatable. There are many other greens that you can add to smoothies, but some have a strong, peppery flavour and can be an acquired taste. There are many types of lettuce, but by far the best for smoothies is Romaine lettuce. It is the most nutritious of all lettuce types and blends up beautifully. 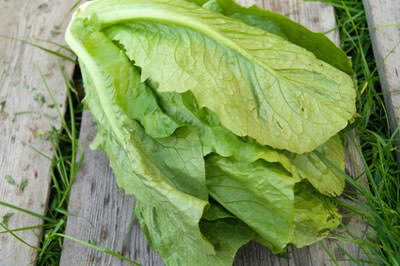 Romaine is rich in antioxidants and an excellent source of vitamins A, folate, vitamin C, manganese and chromium. It is also a very good source of dietary fiber. Low in oxalates, it is the ideal green to rotate with others. Easy to find and inexpensive, with a slightly sweet taste, Romaine lettuce has a high water content, so you will need to use less liquid when using it as a smoothie ingredient. 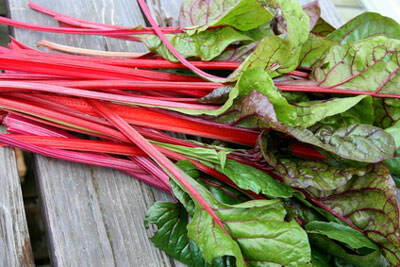 Contains large amounts of vitamins A and K, plus the antioxidants beta-carotene and lutein. Red leaf contains the most vitamin A, vitamin B6 and antioxidants of all the lettuces. Spinach is probably the most popular green that is added to smoothies. It has such a mild flavour you will barely notice its presence, making it the ideal beginner’s choice. I prefer to use baby spinach leaves as they are sweeter. These are readily available pre-packaged in supermarkets. It is also nutrient rich, being an excellent source of vitamin K, vitamin A, magnesium, folate, manganese, iron calcium vitamin C, vitamin B2, potassium and vitamin B6. It also contains protein, phosphorus vitamin E, zinc, dietary fiber and copper. A spinach smoothie really is a vitamin pill in a glass. 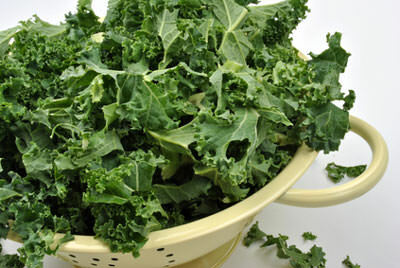 Kale is fast becoming a very popular smoothie ingredient and addition to our diets. It has a stronger taste than spinach, so once comfortable with the taste of spinach, you can graduate to this. 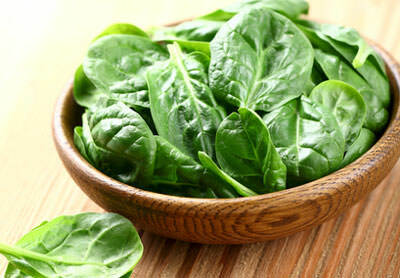 It has the added benefit of having better keeping qualities than spinach because of its thicker texture. Baby kale and curly kale has a less bitter taste. Kale is a nutritional powerhouse, known for its anti-inflammatory properties. High in beta-carotene, vitamins K and C, lutein, zeaxanthin and calcium, kale also contains sulforaphane, a chemical with anticancer properties. This is a colourful leafy green with red stems, stalks and veins on its leaves that will add rich red and green colors to your smoothies. It has a distinct beet-like taste. It also lasts longer than spinach in the fridge. A powerhouse of nutrients, it is rich in vitamin A, vitamin C and vitamin K as well as a good source of potassium, iron and magnesium. If you are unused to the taste, start by adding just one stalk. Parsley is a great source of folic acid, an important B vitamin and contains large amounts of vitamins A, C and E as well as manganese, calcium and potassium. It has a refreshing taste and is perfect for reducing the sweetness in a smoothie. 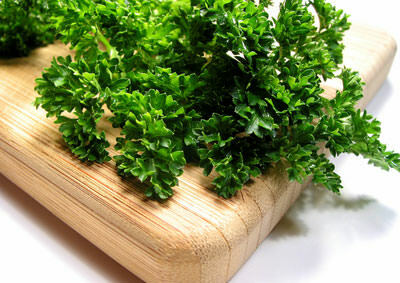 Parsley works with all fruits and vegetables. 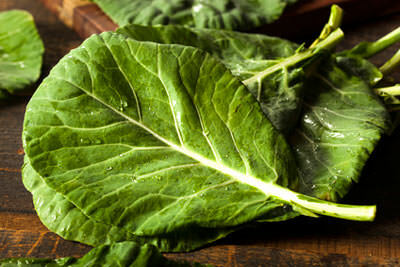 Collard greens have a cabbage-like taste that is milder than kale with a chewier texture. It has large leaves with a slightly ruffled edge and a relatively tough central rib. Discard the rib and use the dark green leaves. Packed with nutrition, collard greens are an excellent source of vitamins B6 and C, carotenes, chlorophyll and manganese. In fact one cup of collard greens provides more than 70 percent of the daily recommended dose of vitamin C.
Dandelion greens have a bitter, tangy flavour but they are beneficial in a number of ways. 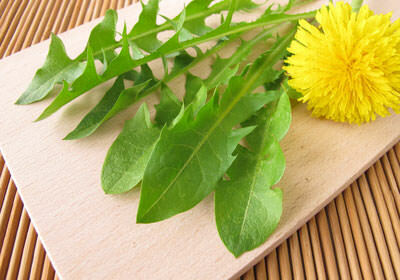 Dandelion leaves contain beta-carotene, the B group vitamins, vitamins C and E as well as iron, calcium, potassium, phosphorous, magnesium and zinc. In fact they contain more iron than spinach. Because of their strong flavor, it is recommended that you start off slowly by adding them sparingly to your smoothies and if you find the flavor just too much, then just stick with the spinach.